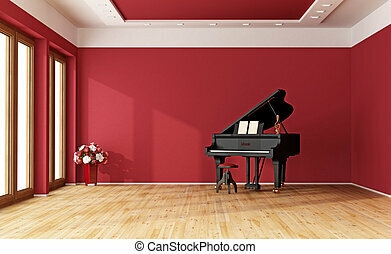 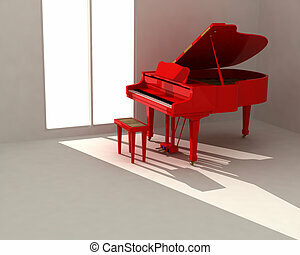 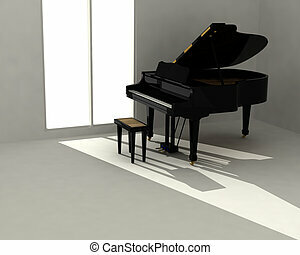 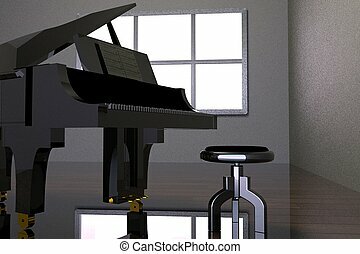 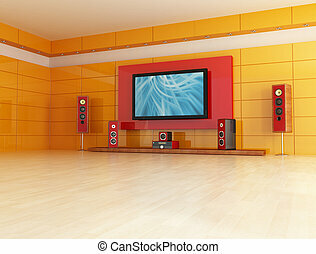 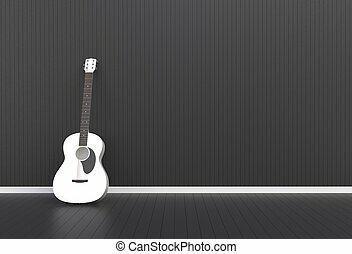 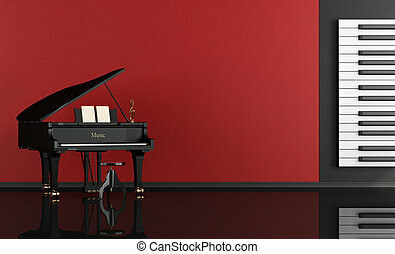 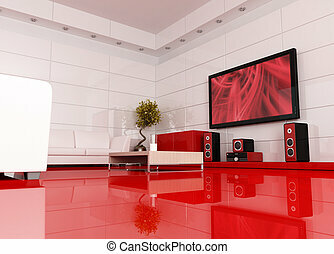 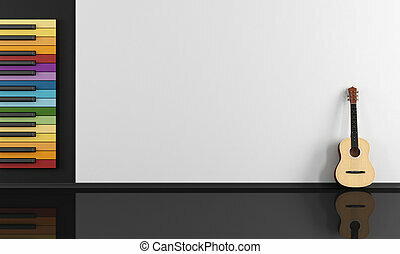 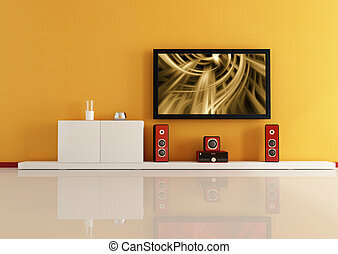 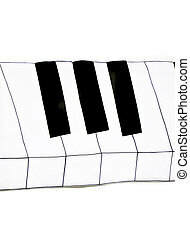 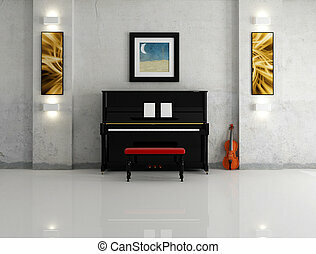 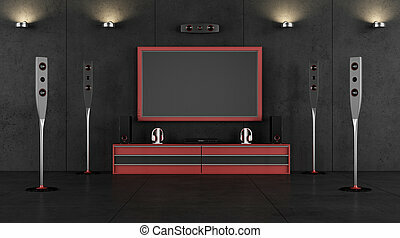 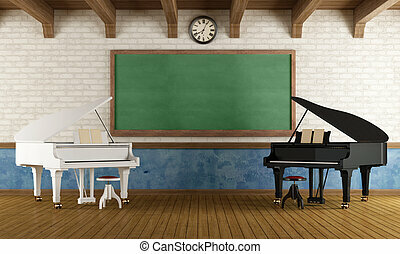 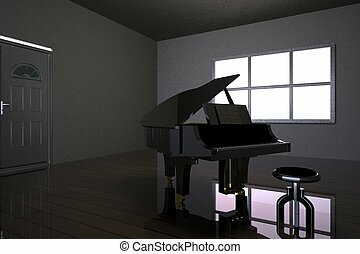 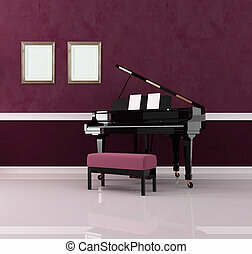 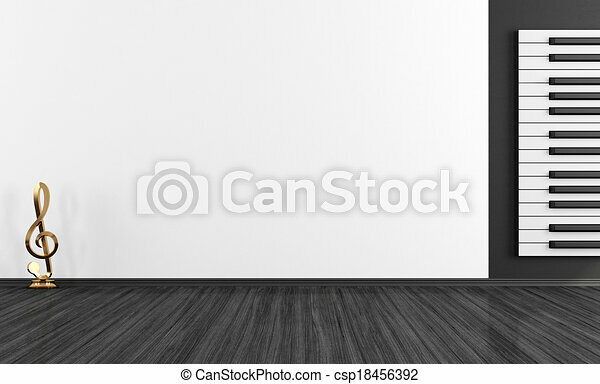 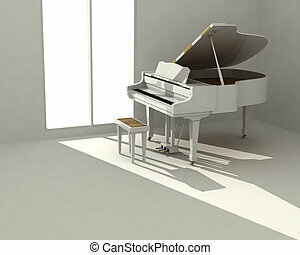 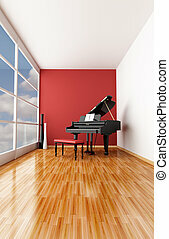 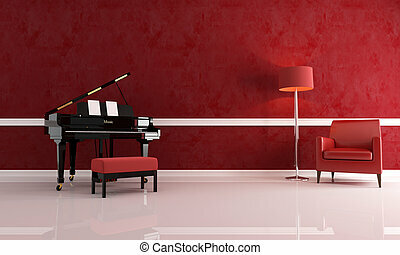 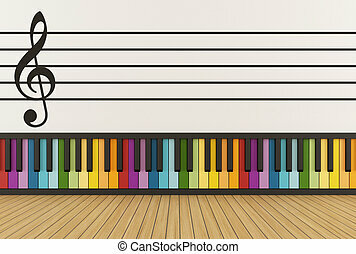 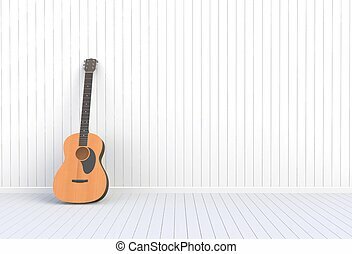 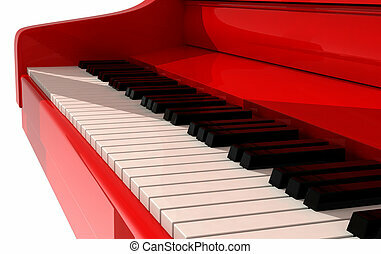 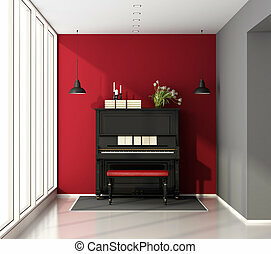 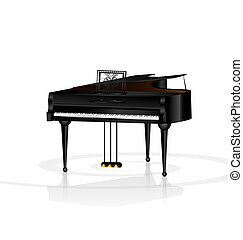 Black and white music room with piano keys as decorative elements on wall - rendering. 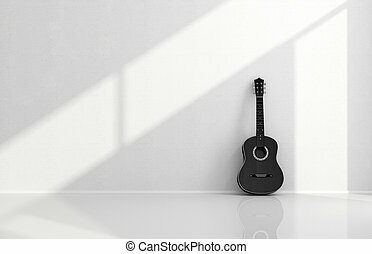 hand drawn black and white illustration. 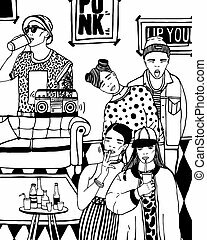 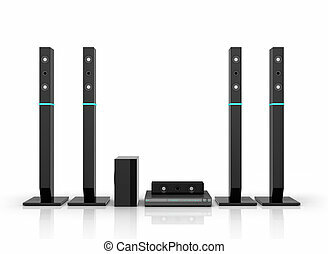 Home party with dancing, drinking young people, music.